The Patriots not only beat the Jets on their own turf but covered the number for all of you who like to make a wager or two on Belichick’s boys. Speaking of which, if you’re in search of a terrific online sportsbook, make sure to check out the Bovada review over at Sportsbook Review. They are the leaders in the sports betting industry for a reason with exemplary customer service, timely payouts, and plenty of wagering opportunities including props, in-action betting, and futures. 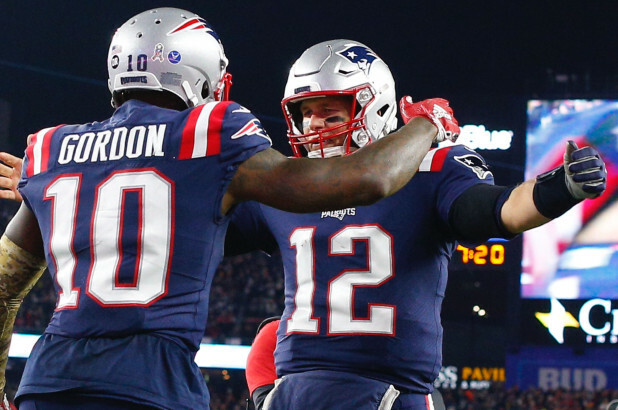 But getting back to the Pats, it was a solid win, one that took them to 8-3 on the season and put a stranglehold on the AFC East title – again. It all sounds like lollipops and sunshine but are you feelin’ it? I mean, do they look like the steamrollers of the past? The homer in me wants to say yes, but my eyes don’t lie and there’s something missing. Maybe those OTA’s that Brady missed months ago really are as important as he had ceaselessly preached in the past. 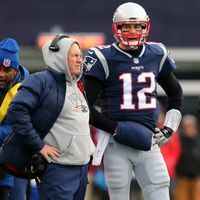 Jackals like Max “Cliff” Kellerman, who have been attempting to vulture Brady’s carcass for several years, has himself turned into a punchline, hence the nickname Cliff – as in Brady’s about to fall off a cliff in performance. But it seems to me that although Father Time may not have caught up to Brady, he just might be gaining on the greatest quarterback to ever hurl the pigskin. And what about Gronk? Is it true that Kansas City’s Travis Kelce is now the best receiving tight end in the business? 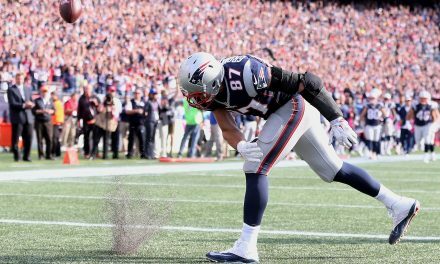 Gronk hasn’t looked himself either but a litany of injuries has kept him on the shelf for stretches at a time and when he does take the field, he doesn’t have the same explosiveness. That said, Gronkowski at 80 percent is better than the rest at 100 percent but he’s still not Gronk this season. Maybe this is his final go ‘round and we better appreciate whatever he’s got left in the tank because it’s the last we’ll see of a tight end talent of his caliber in our lifetime, plying his trade at the Razor. And let’s take a look at the Patriots’ defense. Amazingly enough, and for all of their shortcomings, New England is tied with the Steelers at 11th in the league in points allowed, averaging 22.6 points per game. However, in Belichick’s bend-but-don’t-break defensive schemes, they are a disappointing 25th defending the pass and 30th in sacks with only 17 on the season. Maybe what they need is an edge rusher like Arizona’s Chandler Jones? Why can’t we get guys like him? The truth of the matter is that the Patriots are aging and bit by bit the wheels will fall off the wagon unless Belichick gets much better at trading, and drafting. “In Bill, We Trust” has been a mantra that we have echoed for almost two decades and it’s a run that will never be duplicated. 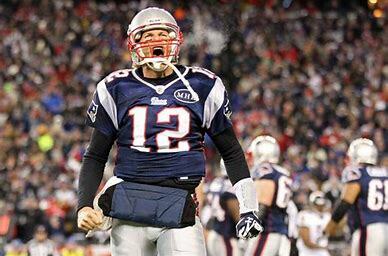 But all the superlatives and accolades for what the Patriots have done mean nothing in the here and now. If you dig deep, do you really believe this edition of the New England Patriots can keep pace with Jared and the Juggernauts from LA or Drew Brees and the wrecking crew down on the bayou? Or how about KC’s sunshine kid, Patrick Mahomes? 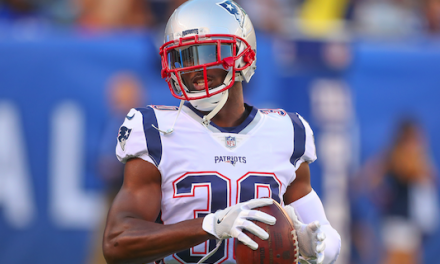 Sure, we beat him and his band of Chiefs earlier this season in Foxboro but what if he didn’t have a case of the rookie jitters in the first half? See-you-later. Let’s also not forget about the Texans, the Chargers, the Bears, and even the Seahawks for that matter. Are the Pats better than all those teams, right now, as we enter Week 13? I’m not sure but we’re hoping they are.